Here’s to the first post of 2011 and an update of my own! Design Museum Boston is proud to present Tiffany Wan, the newest addition to our correspondents team. A graduate of Syracuse University and currently located in Beijing, Tiffany will be bringing an international perspective to DesigningAMuseum.org. An active member of the Industrial Designers Society of America, a practicing designer and avid photographer, Tiffany also catalogues her inspirations and thoughts on her personal blog. In addition to some other freelance work, I’ve recently become a correspondent for Design Museum Boston and am excited to share my first post! The holiday season is the time for giving and China is second to the US in its number of billionaires, according to the Times, but not anywhere close in philanthropy support. Donations in China have “risen from $1.5 billion (10 billion rmb) in 2006 to over $7.5 billion (50 billion rmb) last year, [but] it’s a negligible fraction of the $300 billion annually donated in the U.S.” How can we increase awareness of charitable organizations and their need of financial support? One person is using design to promote and develop such awareness in his own way; this person is Nathan Zhang. “Nü” is the Chinese word for female (女), but it also means “new”. One of the main missions of Brandnü is to support gender equity concerns. In Zhang’s words, “Nu is women. My main work is how I can help rural women redesign their handicrafts.” In order to do so, Brandnü works closely with female artisans through collaborating with Rural Women, a non-profit that aims to develop the potential of rural Chinese women. Nathan Zhang was kind enough to take time out of his super busy schedule to give me some background about Brandnü, which has been open for just over a year. Zhang is continually trying to build his network of non-profits and designers to contribute to his project. He says “not a lot of people are doing this kind of work in China and I’m doing it at the right time. The project is moving forward everyday.” By connecting Rural Women with urban designers, Brandnü uses traditional crafstmanship skills to contribute to contemporary designs. Collaborating designers consider traditional skills such as embroidery and metal-smithing to inspire and create products for the current market. “We use the rural women’s handicraft skills, like embroidery, one of the main skills, and the urban designers design a very contemporary piece like scarves or jewelry,” said Zhang. He provides hourly wages to rural workers and once the shop is self-sustaining, a percentage of profits will go back to these people. Current products include bags, jewelry, electronics cases, and scarves. In addition to the custom created products, Brandnü carries products previously produced from workers by fair trade standards. You’re probably wondering how Brandnü started. After spending about 10 years in Canada and starting his family, Zhang decided to move back to China in 2008. 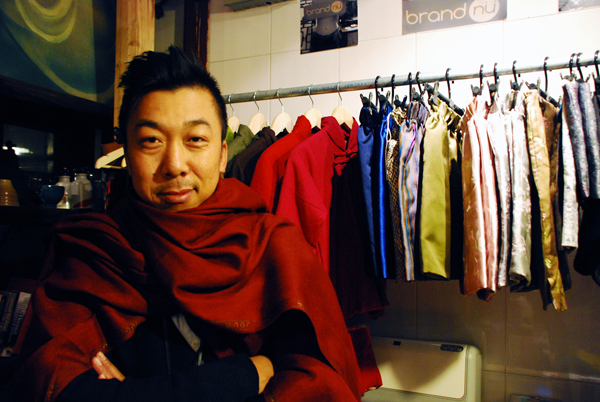 He was burnt out from the fashion media industry and it was time for him to do something more meaningful; “inspired by Fair Trade organizations like 10,000 villages and popular second hand shops in Canada,” Zhang started Brandnü. 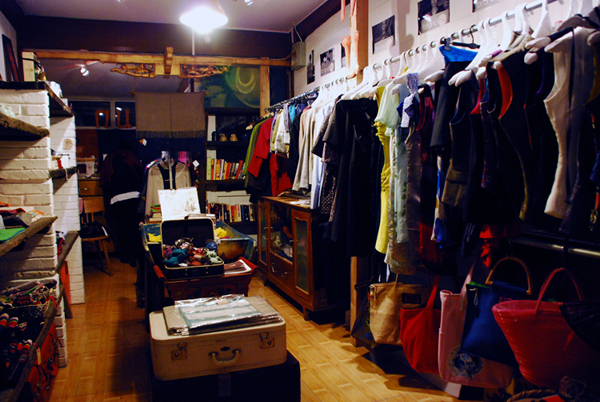 With the support of the successful Beijing T-shirt company, Plastered8, Zhang secured a shop space inWudaoying Hutong. Nathan’s forward thinking method and his individual concept of gender equity are unique in China. True collaboration is still at a minimum. Women in Ningxia, for example, have limited access to the post office and other delivery services. The closest post office is almost a 3 hour car ride from their village. Communication is mostly by phone, providing difficulties in understanding the exact process of embroidery production. The craft work of these women is very much traditional and done entirely by hand. 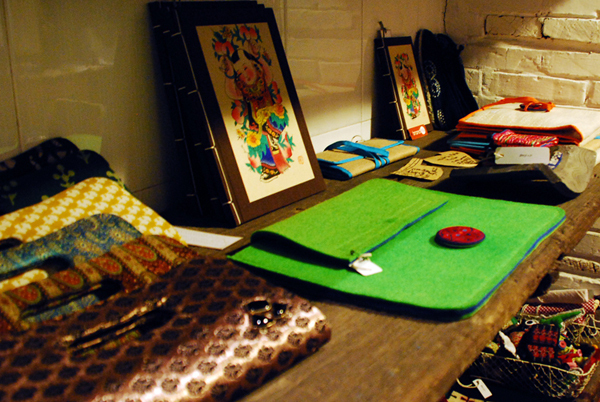 Brandnü aims to get a closer collaboration and connection between the designers and the craftswomen. The goal of Brandnü is to develop its own product lines that combine traditional Chinese skills with contemporary designs. Products will be sold to higher end markets. The business practice must be sustainable in order to continue its mission of helping under-served women. Although Zhang must still iron out the details of his project and its contribution to society, his biggest challenge now is to find further funding. Full of enthusiasm and seemingly endless energy, Zhang’s ideas for his own product lines range from recycled goods to bags and shoes to clothing. In addition to its own products, Brandnü carries goods made all over China that have similar social missions and values. Among these products is Tranquil Tuesdays Tea, which helps women develop useful skills through working in the tea industry. 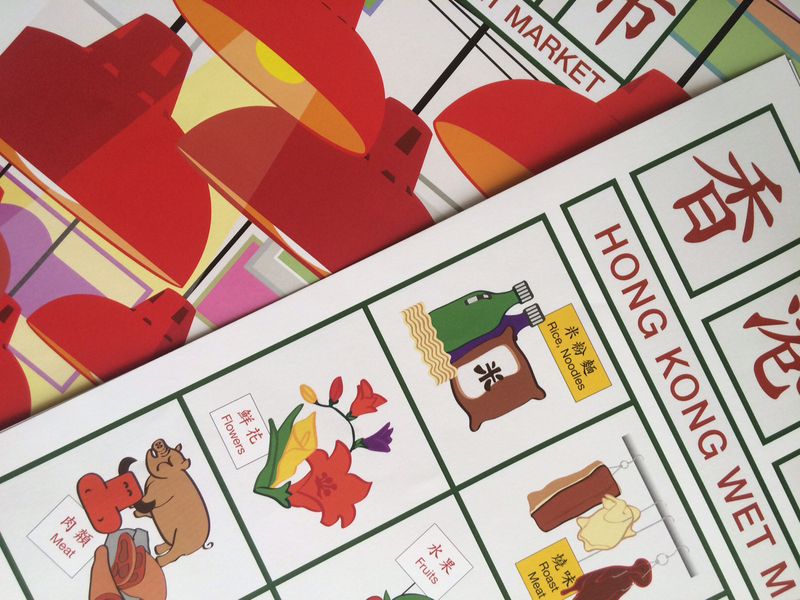 There are also bags designed by PAE-Halo, candles supporting Magic Hospital, small animal dolls from Shandong, and woven sandals from Guizhou. Of course there’s always the controversy of fair trade versusexploitation, but that’s a totally different topic. 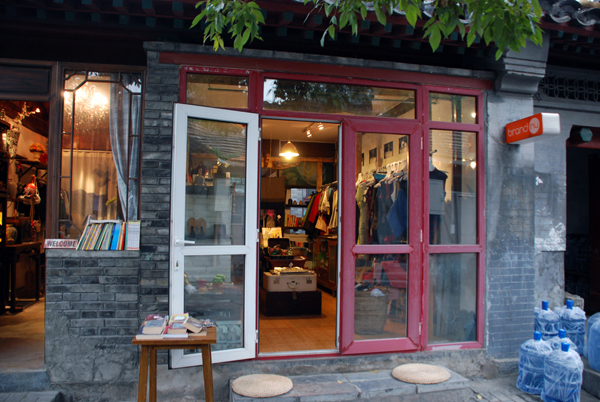 First, come to Beijing and support a little shop called Brandnü that’s trying to make a big difference. I am glad to know people like you, tiffany！Your Chinese is much more good than I thought, have a good time in Beijing.